Chota Imambara is a striking monument located in the city of Lucknow, Uttar Pradesh. Otherwise termed as “Husainabad Imambara”, the Chhota Imambara was constructed by Nawab of Lucknow, Muhammed Ali Shah, in the year 1839. 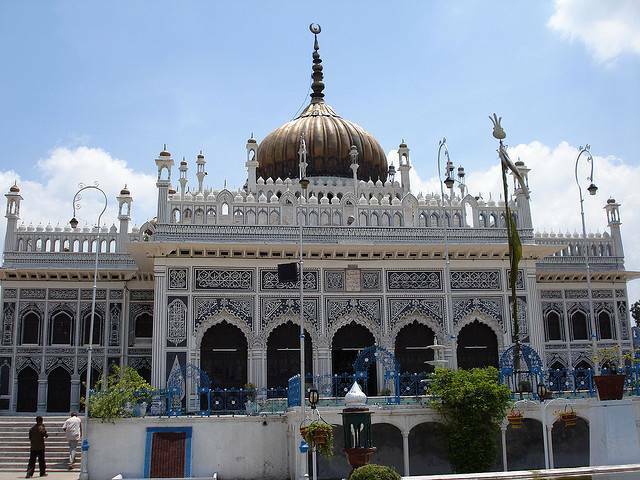 Recently, the Chota Imambara has not been well kept and you can spot piles of garbage at the entrance. Moreover, Bara Imambara often over-shadows this place. Lucknow, being a city of many incredible monuments, if you are on a tight schedule, you might want to skip it. None the less, Chota Imambara is a wonderful combination of Indo-Islamic and Persian structural design. The best time to visit is October – March when the weather is not very hot.